You just want to become a friend of Stelvio eXperience. You want to enjoy a "Stelvio Experience Holiday"
I tried Stelvio eXperience several times and found it to be the best way to conquer the nearby passes..but there is more than cycling to be tried! 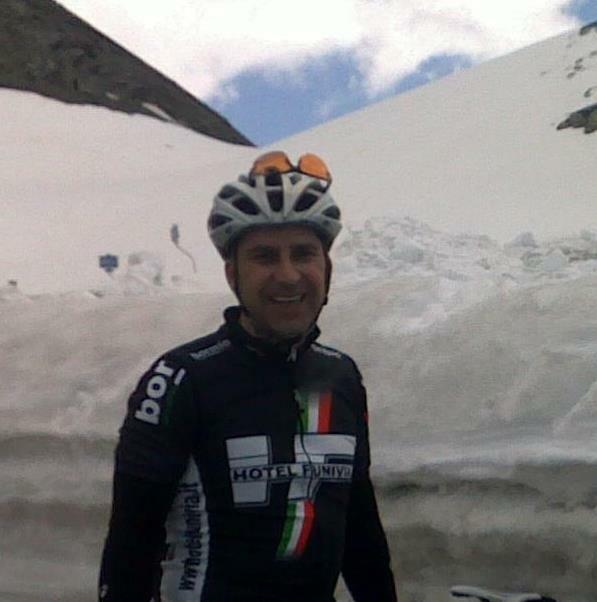 Stelvio Experience is something you have to try if you go to Bormio. Guided tours every day with VAN support. And relax after at Therme, Bormio is fantastic! Our detailed RIDE MAPS provide all the information you need to prepare for and conquer the main climbs and rides in the Bormio area. Registering will allow you to download high resolution files. You will be able to download GPX & KML files for all our epic rides including the Stelvio Loop, Gavia and Mortirolo. Join our ABT group rides or ride on your own. This is your passport access to all of our unique cycling services and benefits during your stay in Bormio. A true badge of honour! You will be able to reserve your place on our epic daily ABT group rides through your hotel reception or online through our website. You will be able to reserve your place on our unique MR evening rides through your hotel reception or online through our website. There is no better way to remember your epic rides forever than to have pictures of your achievements! We take our camera on all our rides and as a SteX Cyclist you will be able to download all our pictures. As a SteX Cyclist you will be able to download discount vouchers (to your mobile or print) for use at our MEMBER network in Bormio. Access some very special privileges. You will also receive a discount if you wish to purchase our Stelvio eXperience cycling kit. Worn with pride all over the world!